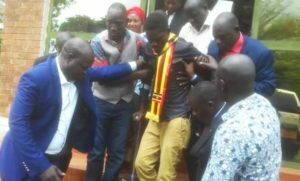 President Museveni’s Senior Adviser on Media Joseph Tamale Mirundi has also joined other Ugandans to condemn the brutal treatment of Kyadondo East Member of Parliament Robert Kyagulanyi Sentamu alias Bobi wine and his colleagues. 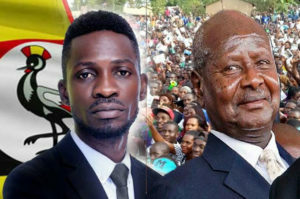 Speaking with anger on Pearl FM radio, the former presidential press secretary warned that what his boss President Yoweri Museveni’s men did to the youthful and visionary leader Bobi Wine planted a seed of revenge in the future. He said that it’s very clear locally and internationally that Bobi Wine is a threat to the ruling party which Museveni chairs and the Opposition. The political analyst said that the state is aware that Bobi is pulling huge numbers of youth who want change and can no longer listen to Museveni’s slogans of we fought and his achievements of fighting deadly diseases like polio. He wondered why his boss’ men acted in the manner they did to a young person like Bobi who he knows is likely to take power. He said that in 1980, nobody thought that Museveni could take power, that’s why he was ignored and he was not humiliated like his men did to this young politician (Bobi Wine). “These people have made a great mistake because they have created a big gap between their family and the future people who are going to be in power. They have humiliated and tortured them. They now fear nothing because they were detained in the military barracks. The Museveni I worked for was not like that and if things don’t change, those boys are likely to also revenge against the families of those who tortured them when they take power,” Tamale Mirundi said. Tamale Mirundi told his boss that everybody knows that the future president is not in government that’s why police officers are no longer tormenting opposition leaders but are hiding them and giving them way to escape. He added that the police also know that there are a few people who are benefiting from the National cake. These people are eating well, building abroad and taking their children to good schools at the expense of others. He added that right now, it’s only SFC which is royal to the president that’s why they act violently knowing that other security Agencies can’t help them. “Why don’t you ask yourself the reason why police commanders of that region were suspended, they saw that when they tortured Muwanga Kivumbi, he is now a very powerful member of parliament, Betty Nambooze is also very influential.” He said that it’s the reason why the commandant of the land force UPDF Peter Elweru is no longer speaking and bragging the way he was doing after the hostile attack on the Rwezururu palace where a number of people were killed. He said that Elweru knows very well that he can be arrested and paraded before the International Criminal Court (ICC) if Museveni abandons him because his case is already in ICC. He revealed that other government officials like Gen Katumba Wamala are silent on the ongoing torture allegations because they very well know that at one time, they will be answerable for the atrocities they committed to Ugandans. Tamale Mirundi said that other people in powerful offices are not happy with the way Museveni handles his opponents. He noted that Charles Peter Mayiga is among the silent annoyed people, he was arrested by Museveni men, tortured and paraded in the middle of the game reserve. He wondered the intelligence capacity of the president’s handlers especially on a political matter like the arrest of Bobi Wine, a civilian and charging him in the military court. He advised that such things are going to dent the image of the court martial. He predicted that the chairperson of the court is going to cut weight and his big stomach is going reduce because they are going to disturb him knowing that it’s a Kangaroo court. The presidential adviser didn’t spare the first Deputy Prime Minister Gen Moses Ali, who he blasted for being used like a fool to read a statement which shamed him in parliament that Bobi was found with a gun(s). Tamale Mirundi said that there is no one who can believe Ali’s statement because Bobi does not have any gun record. He reminded Gen Ali that he (Mirundi) was a very active journalist when he was arrested and beaten by Museveni men on allegations that he was found with ammunition. 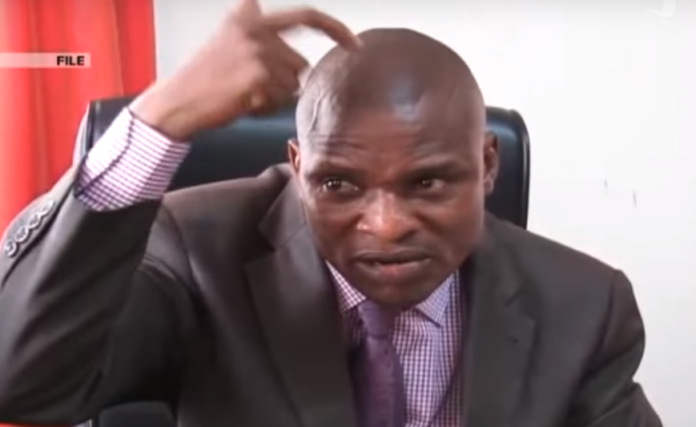 Tamale Mirundi advised his boss that instead harassing innocent young politicians like Bobi, he should put his strength in the NRM secretariat because it’s the one which has failed to deliver success for the party in the by-elections. He said people at the secretariat are only after money and don’t care about Museveni’s future and that of the NRM.